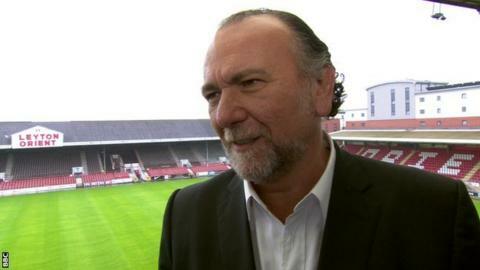 Leyton Orient president Francesco Becchetti has admitted part of a Football Association misconduct charge. Television pictures appeared to show him aiming a kick at O's assistant boss Andy Hessenthaler after Orient's 3-2 win against Portsmouth on Boxing Day. A club statement said Becchetti accepted his actions on the touchline were 'improper conduct'. However, it added Becchetti "strongly denied" it was violent conduct and had requested a personal FA hearing. At the time of the incident, Orient described the exchange between Becchetti and Hessenthaler as being "in very good humour".